Magnetic resonance imaging (MRI) is a modern diagnostic imaging technique that produces cross-sectional images of your body. Unlike many other radiology exams including CT, MRI works without radiation. 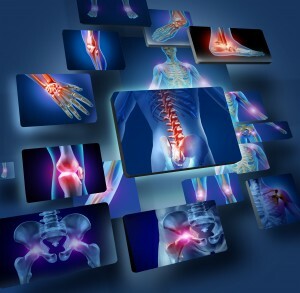 The MRI scanner uses magnetic fields, radiofrequency (radio waves), and a sophisticated computer to take high-resolution pictures of your bones and soft tissue. Tell your doctor if you have any implanted metal objects in your body, before you undergo an MRI scan. To better serve our patients, Teton Orthopaedics has an extremity ONI MRI scanner on site at our Jackson office. Our MRI technologists are board registered Radiologic Technologists who have been specifically trained in MRI imaging. This MRI can scan both upper and lower extremity body parts, and eliminates the patient’s feeling of claustrophobia, because only the body part being imaged will go into the MRI tube. An MRI can take between 30 and 60 minutes. Board Certified Radiologists review the scans through teleradiology, which allows the radiologists to view the scans through their reading stations. Imaging is a critical tool for the proper diagnosis of orthopaedic problems. An MRI can detect torn ligaments and cartilage, ruptured tendons, bony abnormalities, and other soft tissue problems. This diagnostic tool will help physicians design the exact treatment plan that is best suitable for your individual needs.